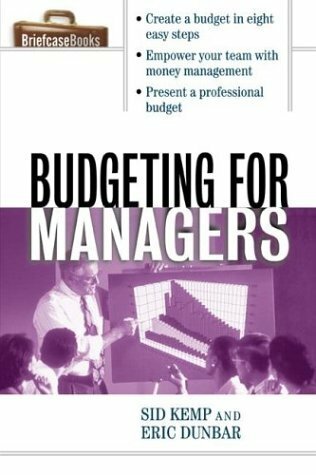 Provides an easy reference for busy managers needing a jump-start in developing a budget. Covers fundamental accounting terms, standard practices of finance and accounting, and managing money as a team. 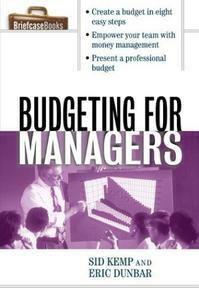 Describes the step-by-step process for readers to follow in developing, creating, and implementing their own budget. Softcover. Whether you work for a small business or a large company, Budgeting for Managers will help you succeed. Detailing the standard practices of finance and accounting as well as the best practices of today's successful entrepreneurs, this value-packed Briefcase Book will give you the knowledge and confidence you need to take charge of money, and work alone or with a team to bring success to both your company and your career. Sid Kemp is a trainer, author, and consultant, and the head of Quality Technology & Instruction, Inc.